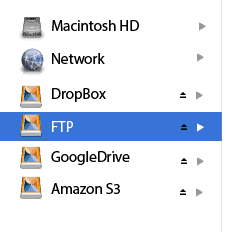 WebDrive is a unique file transfer client that maps a network drive to a corporate SFTP or FTP Server, or to cloud storage services like OneDrive, Amazon S3 and DropBox. By creating a drive letter, the concept of uploading or downloading files is replaced by opening or saving a file on the remote server. This makes the tool particularly useful in environments where files are frequently updated. Because WebDrive supports file locking, it’s a useful tool for collaboration. Workgroups can access files through a drive letter and open, edit and save. Another capability that facilitates group collaboration is the ability to have all of the WebDrive settings preconfigured by a network administrator. If users are connecting to a variety of servers and cloud services, these can be set up for the user, making installation and configuration nearly effortless. In addition to connections through mapped network drives, WebDrive supports connections through UNC shares. This means that WebDrive can connect to an unlimited number of remote servers and cloud locations. One handy feature is the ability to connect drive letters or UNC shares to specific subdirectories on the server. 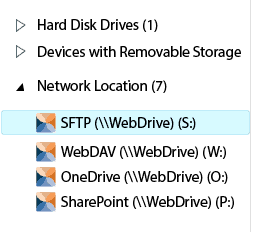 So your P: drive could connect to sftpserver\personal and your S: drive could connect to sftpserver\shared. 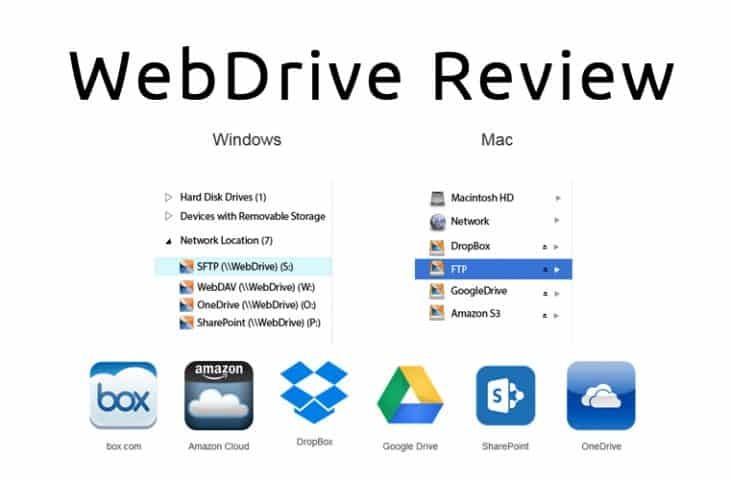 Ready to try WebDrive? Download a free trial now!